Blade & Soul is a Korean massively multiplayer online role-playing game for the PC. The game is developed by NCSoft and Team Bloodlust which was released in Korea in 2012 and then other parts of the Asian market over the last few years. The game is coming to North America and Europe sometime next year. The game has been popular enough that a television animated series was patterned it and started airing on various television stations in 2014. There are very few martial arts MMOs on the market these days which is said to be helping Blade & Soul carve a path ahead of its eventual release. Team Bloodlust is an in-house development team offshoot of the larger NCSoft company. The firm announced back in 2012 that they would be bringing their very popular fantasy martial arts MMORPG from Asian markets to Europe and North America. The original game was announced way back at E3 2007 and Sony announced that it would eventually be bringing the game to PS3. 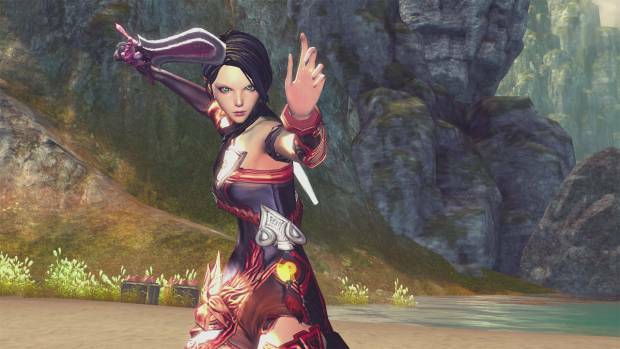 In 2010, it was announced that Blade & Soul, as well as Guild Wars 2 were coming to both the PS3 and the Xbox 360. Since that announcement there has not been any more news about whether or not either game is actually going to be translated to any consoles. The first closed beta testing for the game in the Asian market was held in 2011 and went well enough that they eventually launched the game in Korea in 2012, China in 2013 and Japan and Taiwan in 2014. On May 20, 2015, the company officially announced it would be coming to the United States, Canada and Europe. The firm also announced it will be hosting a closed beta on October 30, 2015. The company is planning the first close beta to kick off on October 30 but there will be a minimum of five beta weekends spanning at least 20 days. The company says these weekends will give players a chance to test gameplay and performance prior to the title’s official release in the first quarter of 2016. In August, NCSoft announced that it would be offering “Founders Packs” to go along with the open beta. 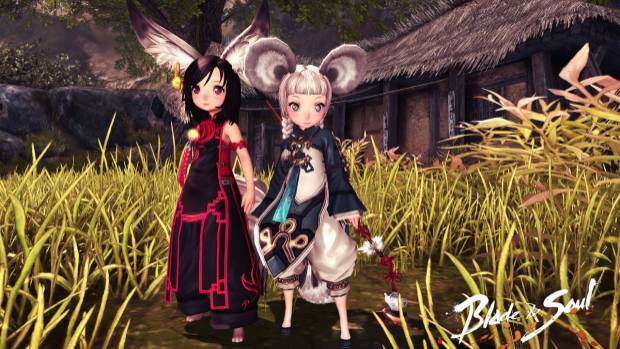 The company announced that there are three editions of Blade & Soul Founder’s Packs, all of which offered access to Closed Beta and Head Start access. The company said that while other perks would come along with the founders packs that were purchased, gamers would get special perks inside the game when the open beta launches. It was during this announcement that NCSoft said it expected to be able to launch Blade & Soul in the first quarter of 2015 in both North America and Europe. The premise of Blade & Soul is that there are two Martial Arts Factions that are both sworn to wipe out evil. The conflict has come because the two factions cannot agree as to how they should go about wiping out this evil. Characters in the game are not only fighting against each other but are also training at the same time and learning new skills and moves along the way. The two factions are the Cerulean Order and the Crimson Legion. Beyond the battles between these two factions, the evil forces are made up of the Stratus and the Talus. Their own war has thrown the world of this game into quite a bit of turmoil. The Cerulean Order is the most militant of the fighting factions that are trying to put the world back together. On the other side, the Crimson Legion is more of a group that has been stepped on and kept down over the years. While the Cerulean Order wants to eventually gain control using their military precision, the Crimson Order doesn’t believe that having any kind of a formal government has ever helped anyone. The Crimson Legion believes that hierarchy isn’t worth the trouble and this is the reason why the two factions have started to fight. 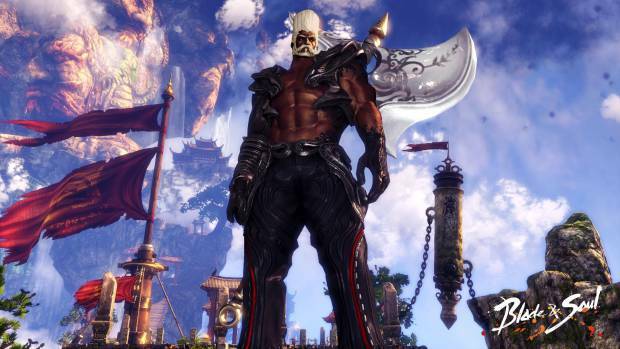 Blade & Soul takes a third person approach to the graphics of the game, as players battle one another for either the Crimson Legion or the Cerulean Order. Each player first picks which side they want to be on, and then the race and class they want to play as. Each race and class have different abilities that can be enhanced as they play rounds through the game. The game has a skill tree that allows the players to improve. The skills a player applies to their character can be focused upon, improved, and increased in power and impact. And by specializing one’s focus, even those of the same class can call upon vastly different abilities. During the fights, there are a number of different combos that can be used in order to take down an enemy. Standard combos and boss combos are usable in the game, as well as Conditional Combos, Situational Combos and High Impact Combos are unlockable the more matches and fights you and your character play. Players are able to select one of four different races. They can play as either the Gon who are described as “Deliberate” or the “mischievous” Lyn, the “elegant” Yun, and the “industrious” Jin. Each of the four races has a number of different classes that are playable and these classes all have different weapons and abilities that they can carry out during gameplay. There are seven different classes in the game and each class has a few races that are attached to it. The first is the Blade Master. Among other attacks, this class has the Flock of Blades technique, which allows them to summon a flurry of flying swords to overwhelm their enemies. The Yun and the Jin can be Blade Masters. The Destroyers are made up only of the Gon and their biggest attack is when they actually hurl their enemies at other fighters. The Summoners, made up of the Lyn can transfer health points back and forth and can even revive their fallen allies. The Force Masters can either be Yun, Lyn or Gon and can wield either fire or ice as their prime attacks. The Kung Fu Masters are made up of Gon, Jin and Yun. Their best attacks are stringing together a long chain of blows one after another. Assassin’s are made up of Jin and they can employ explosives, poisons, smoke, and other potent utilities to hobble their enemies. The Blade Dancers are made up of Lyn and they employ blinding speed to move around the battlefield and take out a ton of enemies.